Imagine two investments. After holding both for a period of one year they independently deliver the exact same return. For all intents and purposes, these two investments are the same right? Wrong. They could in fact be very different despite the identical returns. This difference is the risk-adjusted return. A risk-adjusted return is a measurement of how well an asset performs based on the risk incurred by the investor. In other words, even if two assets have the same return, one can deliver a superior risk-adjusted return if it takes on less risk to generate the return. Risk-adjusted returns can be gauged with several measurements. The Sharpe ratio, R-squared, alpha, beta, and standard deviation are all risk measurements. Measurements like these are important for investors because it helps them determine if the level of risk they’re incurring is in line with their tolerance. The bottom line: It’s not enough to look at an asset’s returns. Investors need to know the risk they’re taking. Gold continues to benefit from its status of a global currency. “Demand from India and China grew from 25% in the early 1990s to more than 50% in recent years,” explain the researchers. This worldwide appeal is unique. Many assets don’t enjoy this advantage. Today, there are literally thousands of cryptocurrencies available, many falling out of favor with investors by the minute. Traditional fiat currencies like the dollar or sterling pound experience fluctuations based on trade policies and changes to GDP. Gold, in contrast, is not as heavily anchored to the seemingly capricious movements of economic policy makers. Gold doesn’t suffer from rising correlations as much as other assets. To illustrate this point, the researchers cite equally massive sell-offs among seemingly uncorrelated assets like equities, real estate, and hedge fund holdings during the global financial crisis. Moreover, additional research shows that when assets like stocks fall in value, gold actually exhibits a decreased correlation to these investments. This low, and in some cases, decreasing correlation underpins gold’s value as a risk-mitigating asset in a diversified portfolio. A high liquidity asset is one that can be converted to cash fast. A low liquidity asset, in contrast, is one that cannot be easily converted to cash. Gold may not appear very liquid because investors must take a few steps to convert it to traditional, paper currency. However, gold is highly liquid from the perspective of international trading volumes. That is, gold trades in greater volumes than other popular currencies like Euros, Yen, and German Bunds. 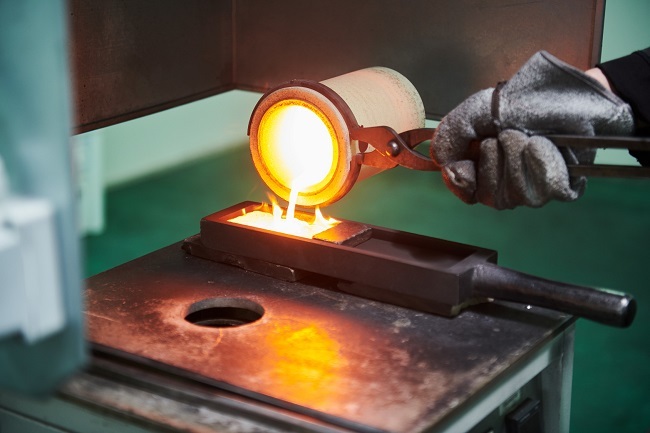 These three factors all contribute to gold’s favorable risk profile as seen by the rising risk-adjusted return seen with an increasing allocation of gold to a hypothetical pension fund. Researchers measure this effect with something called the information ratio - a measurement of the return an asset delivers beyond its benchmark relative to its volatility. This means that, generally speaking, the riskier the portfolio, the more gold an investor may want to include to offset this risk. Risk cannot be assessed in isolation. Investors need to understand what risk they’re absorbing to earn that return. Gold helps defray that risk through global demand, diversification and liquidity.